On this day 102 years ago, the four divisions of the Canadian Corps stormed Vimy Ridge. By April 12, after four days of heavy fighting, the Canadians Corps held the ridge and captured more than 4,000 prisoners. This important victory, earned Canadian soldiers a reputation as a formidable and an effective army. This also marked the first time that all four Canadian divisions of the Canadian Expeditionary Force would fight together as one unit composed of Canadians from coast to coast to coast. This was a defining moment in Canadian history and helped forge our nation. 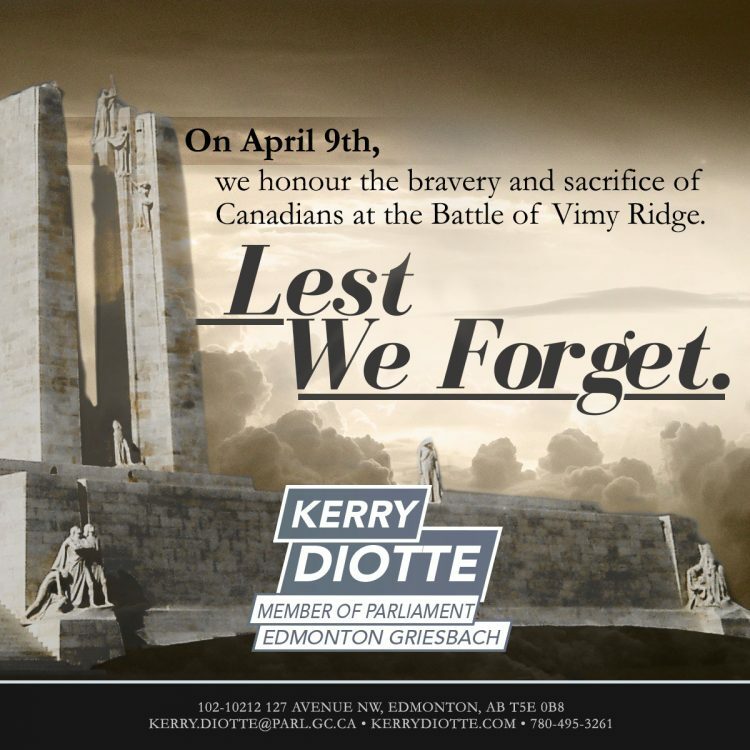 Yet, this came at a huge cost, 3,598 Canadians lost their lives and 7,000 were wounded during the battle. Lest we forget.